Tempo and Speed: Will the Real Fig Newton Please Stand Up? Will the Real Fig Newton Please Stand Up? About five or six years ago, my mother gave me a fig tree sapling. I planted it with little expectations. My thumb is not green and I'm pretty sure I live in the wrong climate where figs will flourish. But the tree grew and grew. It bore fruit for the first time two summers ago. By fruit, I mean one or two figs ripened to edible. The rest stayed small, hard, green and ignored by the birds and even our ravenous Maryland black squirrel. Last summer, the harvest was little better; we had a two handfuls of edible figs. The birds and squirrels still weren't biting. My fig tree must like it here if this summer's crop is an indication. This year we've had a bumper crop. 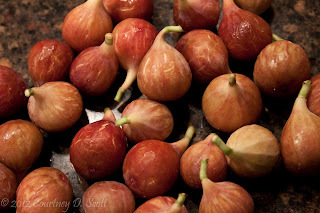 In the last week alone, at least sixty figs have made it from the tree into my kitchen. Countless others have been eaten or shared before making it all the way to the fridge. And there are probably that many more yet to ripen on the tree. They are so sweet and delicious. The kids love them right off the tree. The birds and squirrels don't know what they are missing. 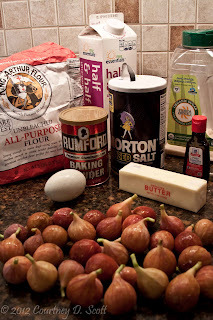 But what do you do with that many figs? Why, you make Newtons, of course! 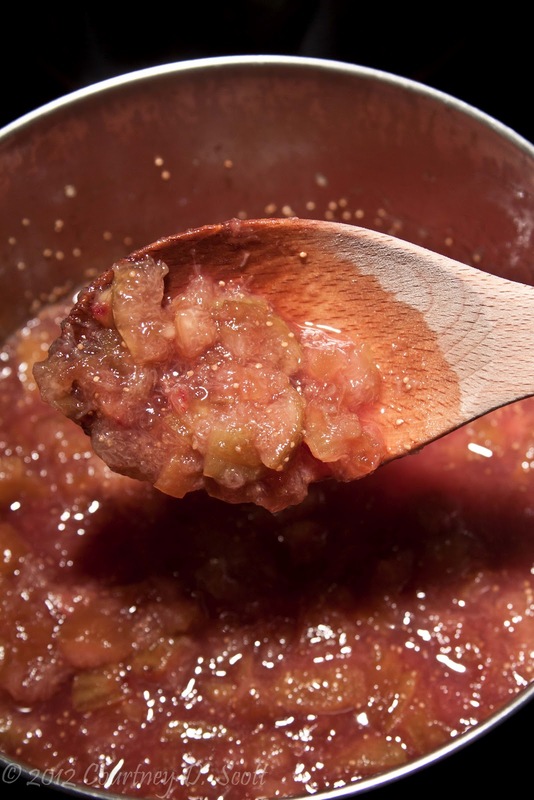 And cook over medium heat until it takes on a thin jam-like consistency. Set aside. Cream the above ingredients together with hand mixer. 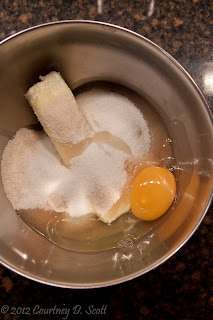 Then mix in dry ingredients. Mix well then refrigerate for one hour. My batter was in the fridge for about three hours because dinner, baseball practice and a last minute trip to the pool were also on the schedule tonight. But the batter was just fine even after the extra time in the fridge. 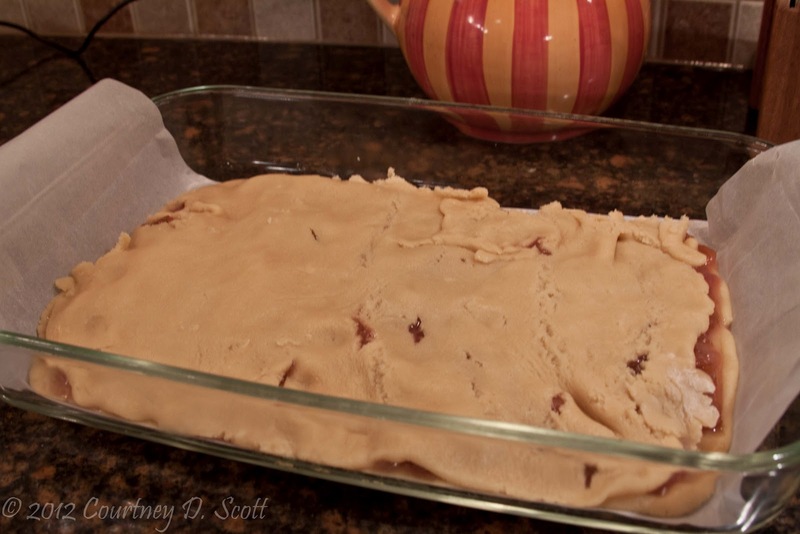 After the batter has chilled and the fig filling is ready, knead the dough about five or six times on a floured surface. 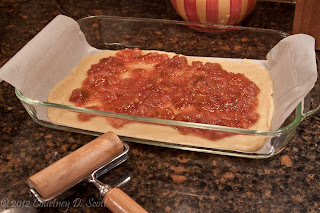 Divide the dough in halves. Roll one half in a 9x13 pan lined with parchment paper. Spread the fig filling over this layer. Roll the remaining half of dough on the floured surface. 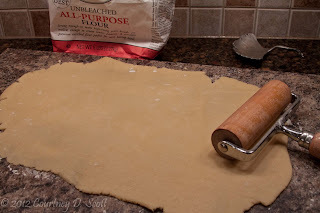 Carefully place the rolled out dough on top of the filling layer. 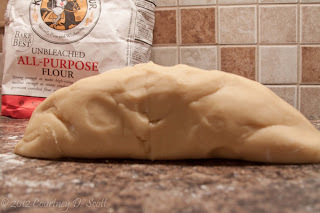 This is tricky because the dough is thin (about 1/4 inch) and hard to handle without tearing. After a few failed attempts, I folded my top layer dough over in about four folds while on the floured surface, laid the folded dough on one end of the filling layer and unfolded it until it covered the whole newton in the pan. It's not exactly uniform or pretty but what did you expect...it's made with my hands not a calibrated machine! Bake at 350 degrees for 30 minutes. Lift by edges of parchment paper out of pan. Let cool then cut in squares. Devour. My sons said they were better than the commercial Fig Newtons. Now I recognize that they don't really consider the commercial Fig Newtons a true treat. They are less than cookies in their minds. 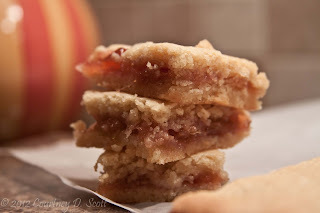 But then the boys added that these fig newtons might be the best thing I have ever baked. That is high praise. 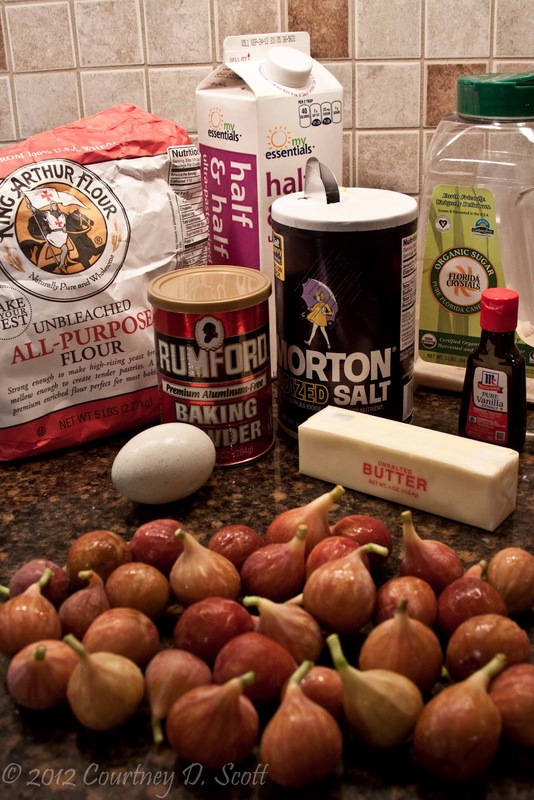 Recipe notes: If you don't have a fig tree, you can still make these. Other recipes I found allowed for 1 lb. 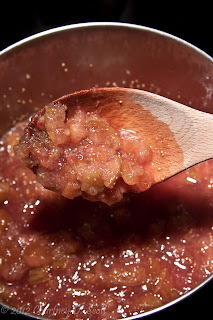 dried figs but then increase soaking water amount to 1 cup. Also, other recipes called for milk or cream. I met in the middle and used half and half. I'm impressed! I love figs...wrapped in a piece of proscuitto and drizzled with honey makes a delicious appetizer. Cooking Light had a salad recently that looked good-tomato, fig and sweet onion...here's the link if you're interested. Yumm... I'll have to steal more the next time I visit and try that recipe.